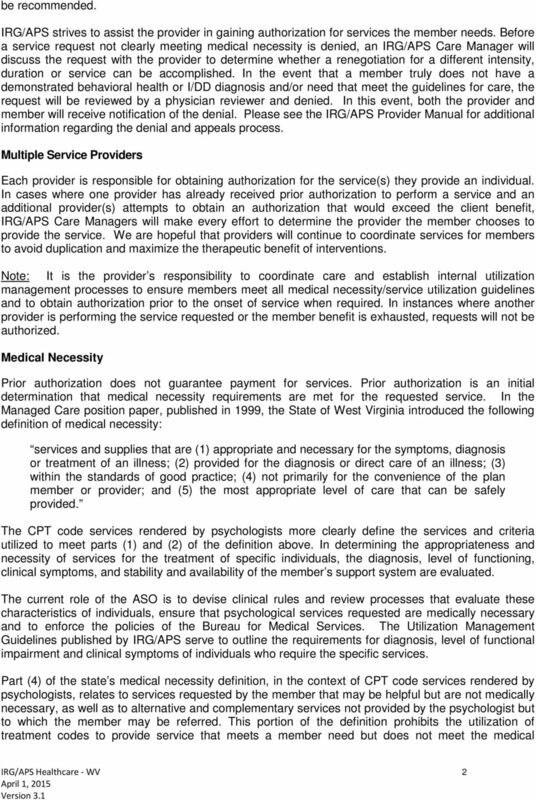 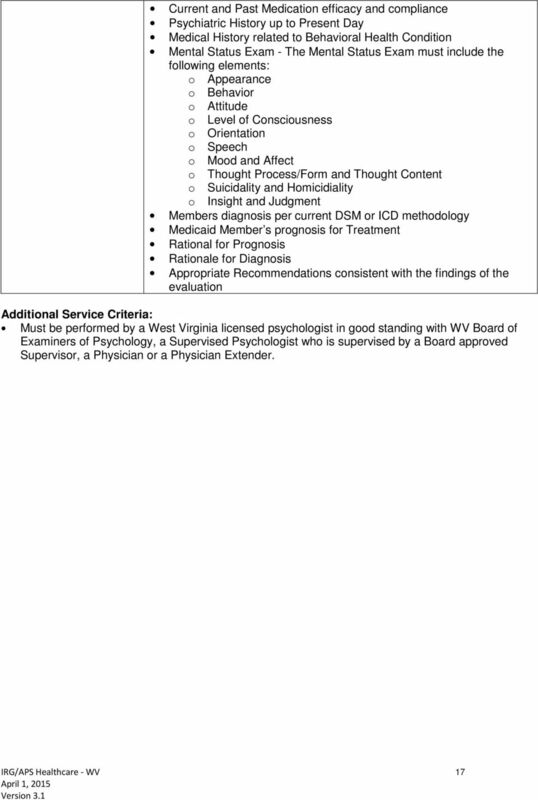 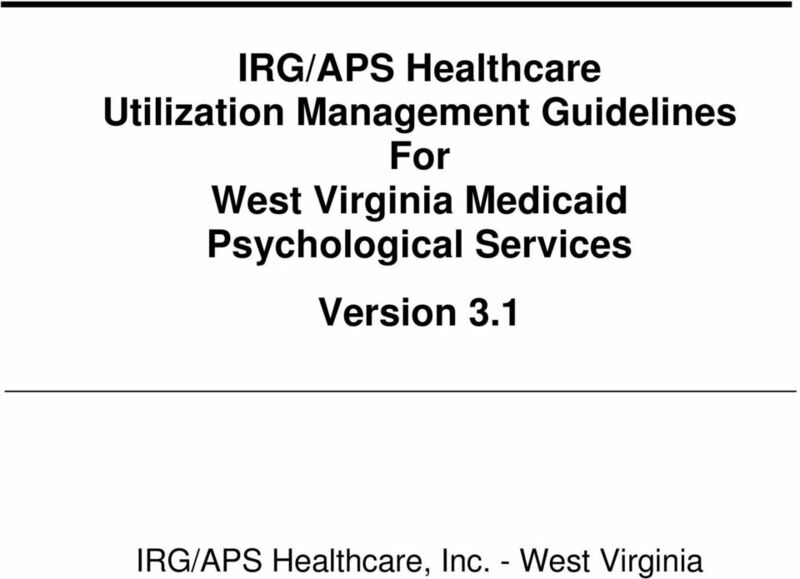 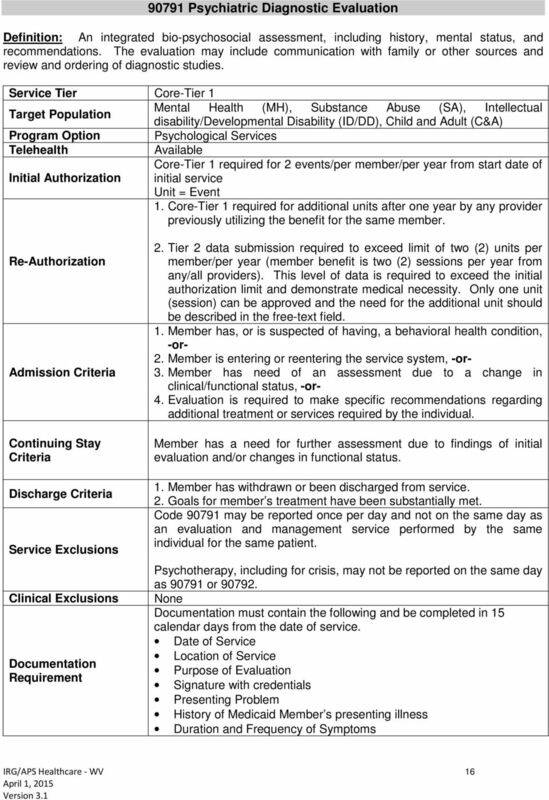 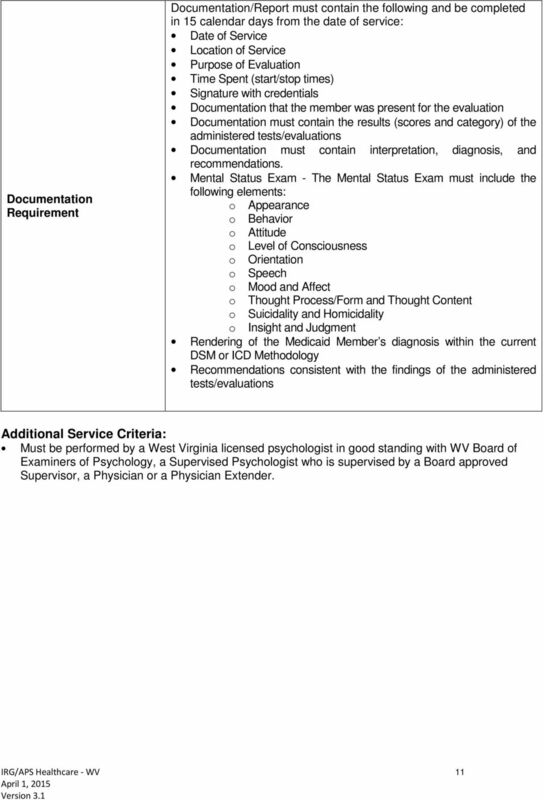 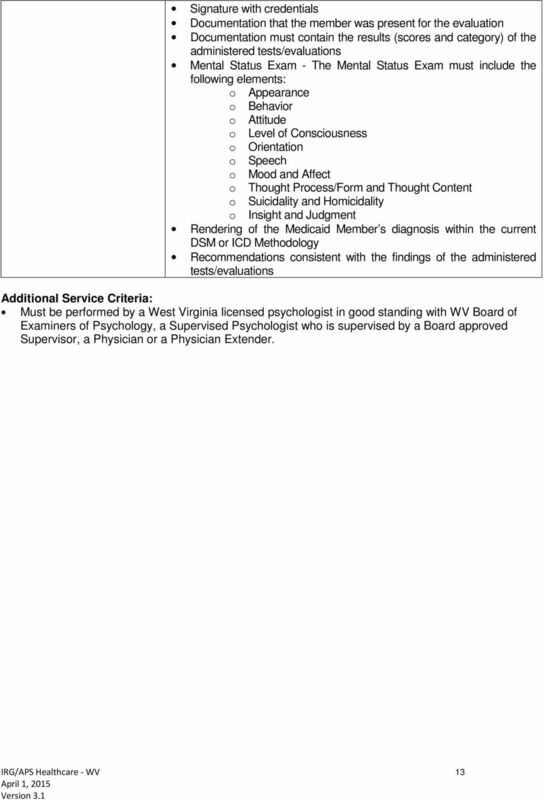 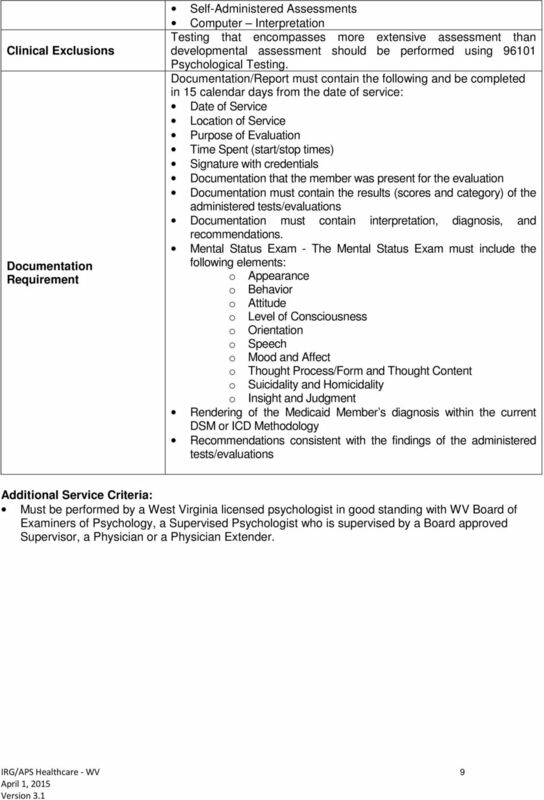 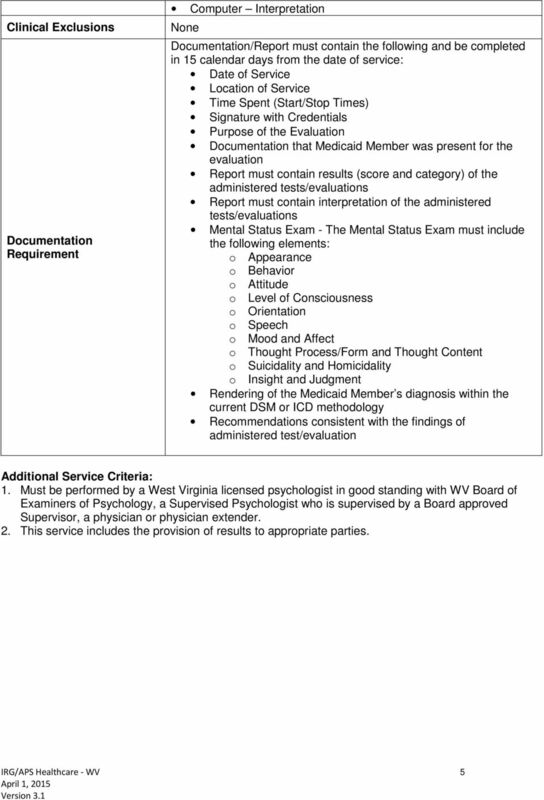 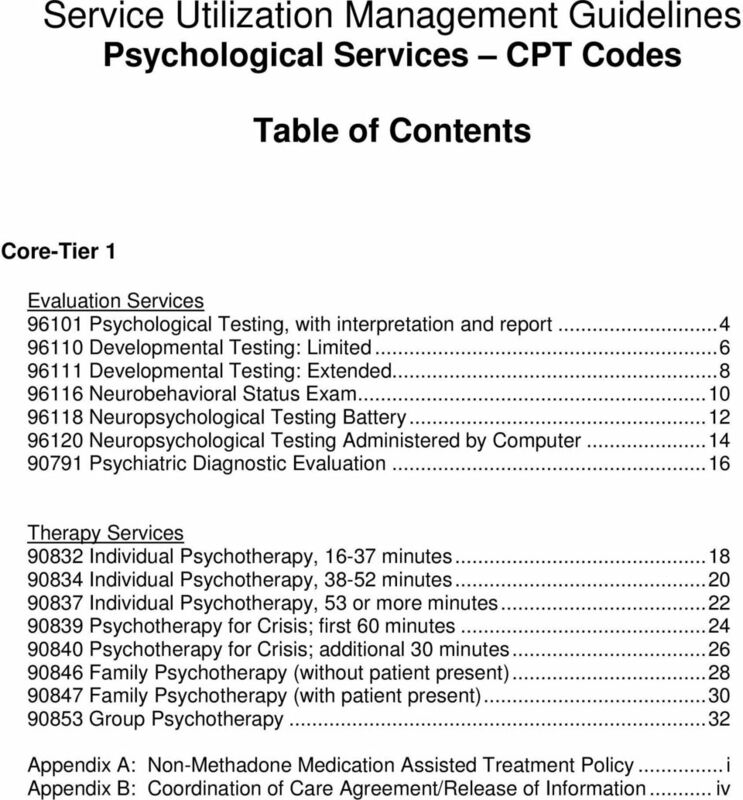 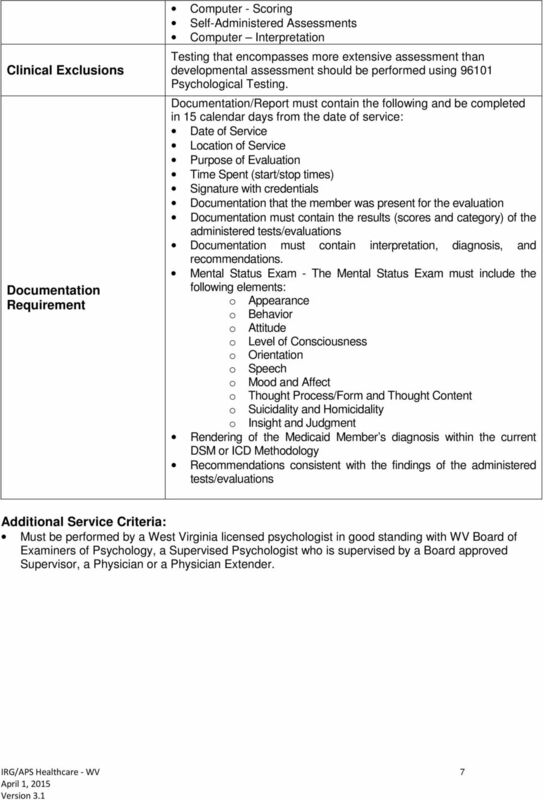 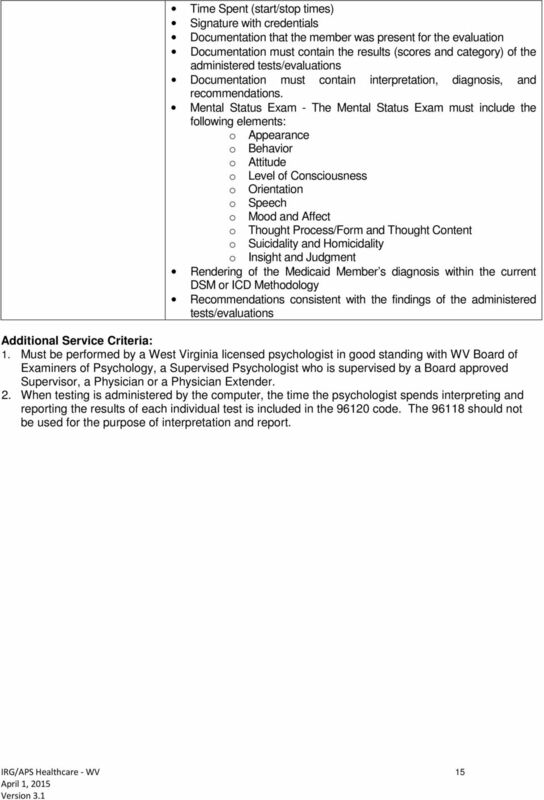 Download "IRG/APS Healthcare Utilization Management Guidelines for West Virginia Psychological Services Version 3.1"
APS UTILIZATION MANAGEMENT GUIDELINES West Virginia OUT OF STATE PROVIDER SERVICES Version 1.0. 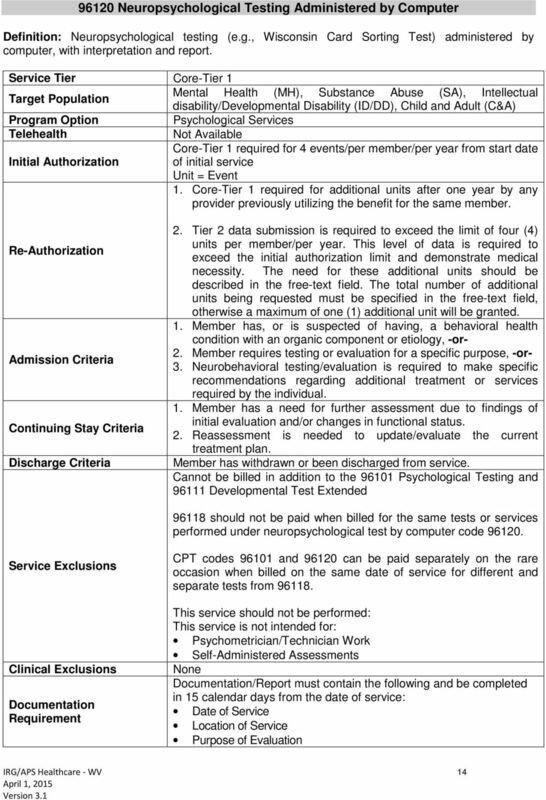 APS Healthcare, Inc. 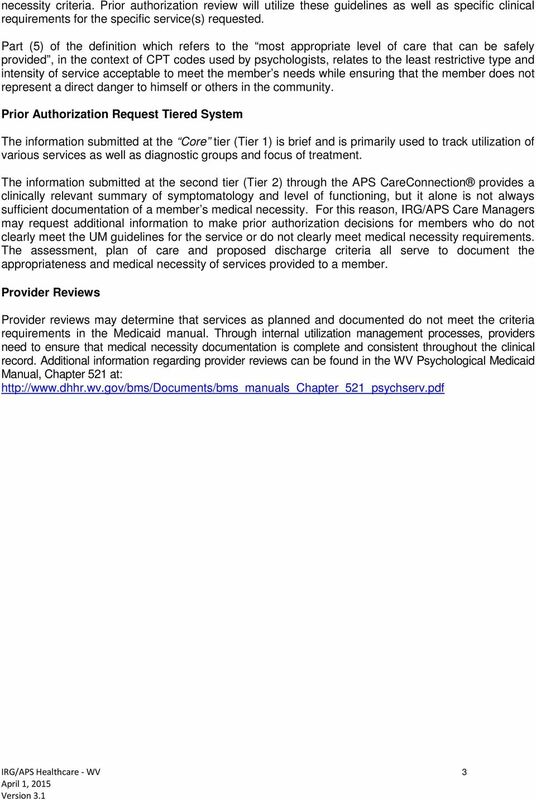 Billing, Coding and Reimbursement Guide Revised April 2014 Disclaimer: The information in this document has been compiled for your convenience and is not intended to provide specific coding or legal advice. 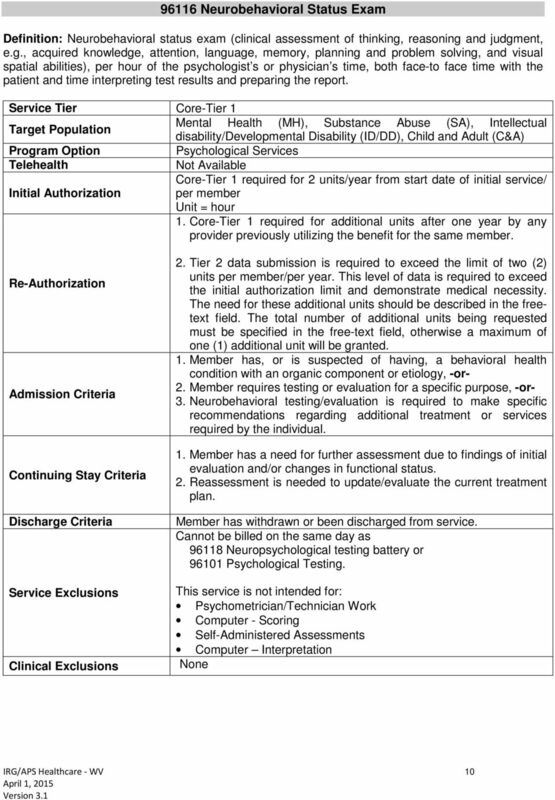 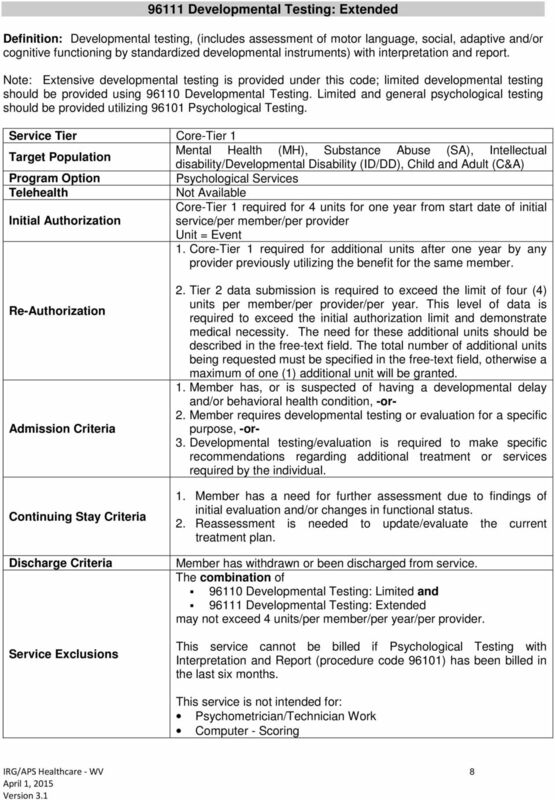 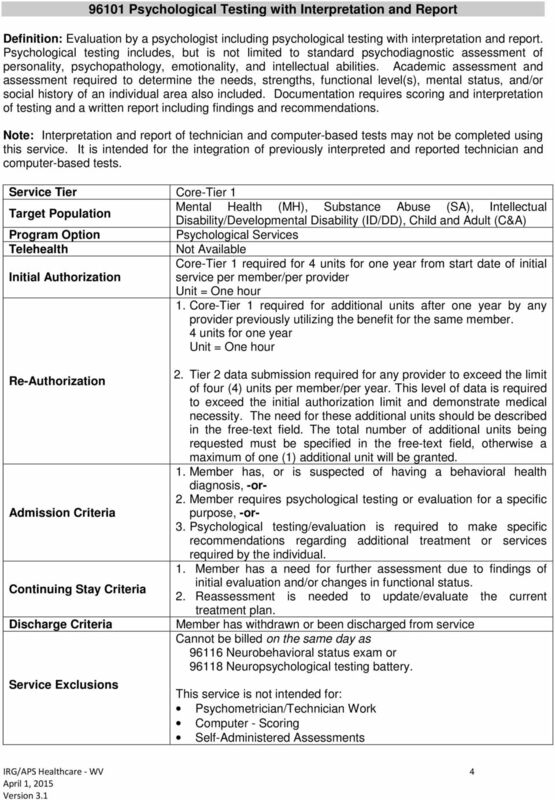 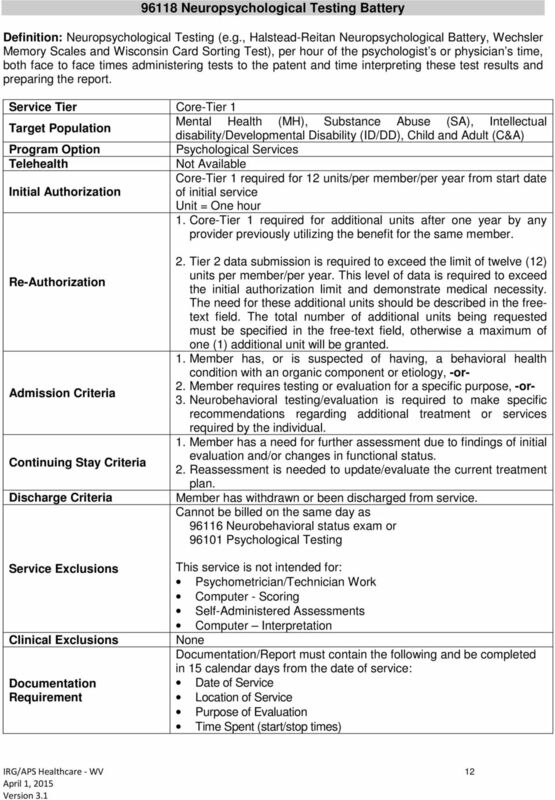 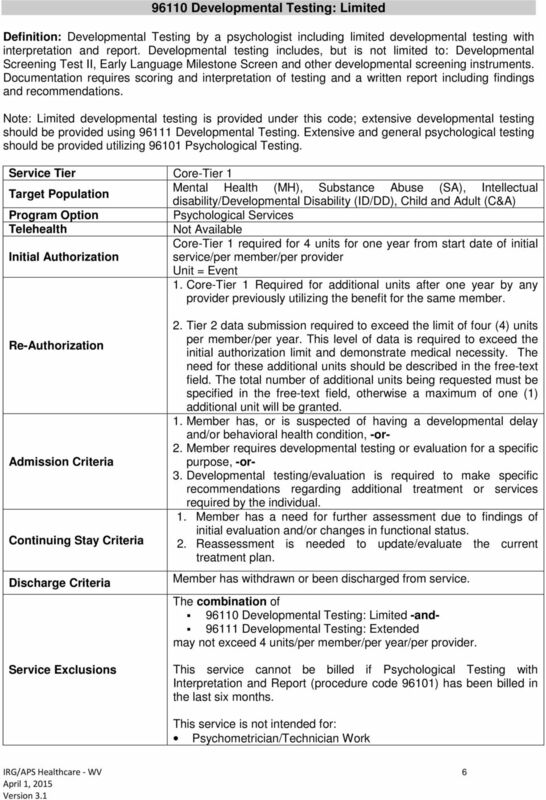 AUTISM SPECTRUM DISORDER RELATED SERVICES FOR EPSDT ELIGIBLE INDIVIDUALS I. 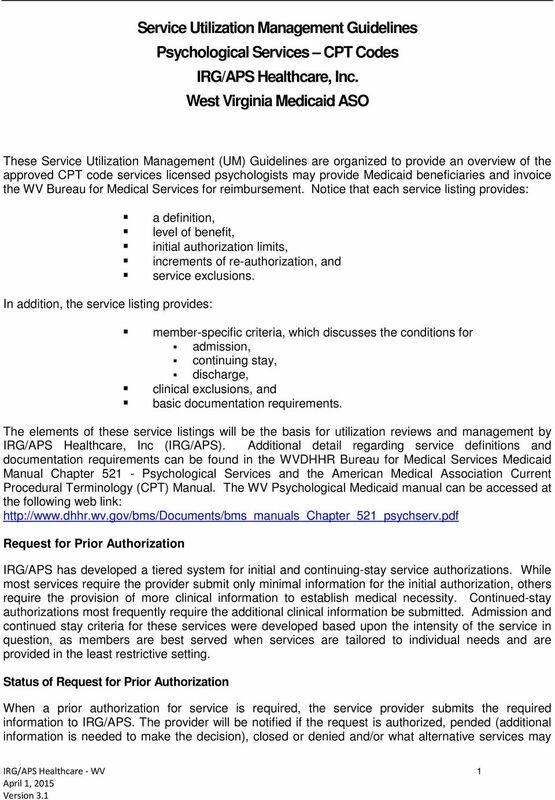 GENERAL POLICY Autism Spectrum Disorder (ASD) Related Services are not covered benefits for Traditional Medicaid beneficiaries.